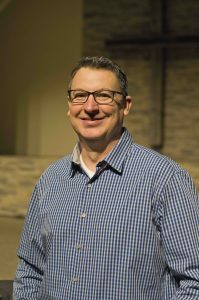 Matt began ministry in 1986 and spent several years in Student Ministry. He also served as a full-time pastor for 6 ½ years before coming to IBC in 2006. 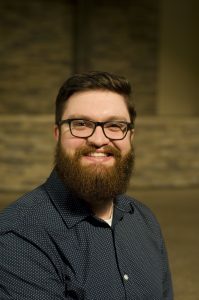 Matt is a graduate of Oklahoma Baptist University and has earned Master’s Degrees from Southwestern Baptist Theological Seminary and Trinity Theological Seminary. He married his wife Krista in 1997 and they have two boys, Josiah and Noah. Matt enjoys a good joke, decaffeinated Pepsi, ice cream, donuts, golf and bird hunting with his friends and dog Cruz. Sam returned home to join the staff at IBC on July 18, 2011. He is a Blackwell alumni that went on to Oklahoma Baptist University and received his Bachelor’s Degree in Biblical Languages. He served nearly 4 years as a student and music minister at a church near Shawnee before returning to IBC. Sam and His wife, Allison, married in 2008 and have two sons, Levi and Caleb. They get so much joy from watching their boys experience life. Sam enjoys movies, coffee, anything competitive and the outdoors – especially bass fishing. 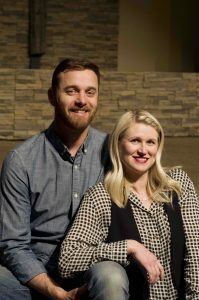 Andrew and Laura have been involved in music ministry together since 2006. They started as the IBC Worship Leaders in 2015. They have three sons: Jude, Ezra and Ari. They enjoy the challenges of keeping their boys alive! Andrew loves rainy days, disc golf and banana pudding. Laura loves sunshine, calligraphy and dark chocolate. Together they are serious home coffee enthusiasts! 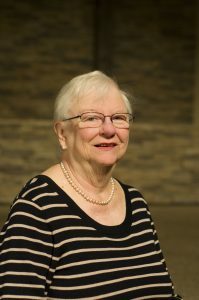 Billie is a retired nurse who started as our church secretary at IBC in 2011. She loves cats and collecting moose, not the real ones.